Many consumers, manufacturers and government officials view electric cars as the answer – or at least a big part of the answer – to the disastrous effect our personal transportation has on our environment. Electric vehicles have yet to become commonplace, but their popularity is on the rise. In fact, in the first three quarters of 2016, electric vehicle sales were 33 percent higher than they were in the first three quarters of 2015. Some, however, question whether or not electric vehicles are really all that green. How could that be? Eliminating the need for gasoline gets rid of all those nasty emissions coming out of your tailpipe, so it must be environmentally friendly. It turns out it’s not quite that simple. Critics point out the energy-intensive production process needed to manufacture electric vehicles, which they say negates their cleaner operation. The production of electric vehicles creates more emissions than the production of gas-powered vehicles, largely because of the lithium-ion batteries in electric cars. Much of this impact comes from the mining of metals used in the production of these vehicles and batteries. Exactly how much of an impact this has is difficult to measure. Gas-powered vehicles require many of these same metals, giving neither the advantage in this area outside of the battery. Improving the batteries used in electric vehicles will lessen the impact of their manufacturing process, making the cars greener over their lifetime. These improvements will likely come as the technology progresses and electric cars become more popular. The other big factor in the greenness of an electric vehicle varies by location and even what time of day the vehicle charges. 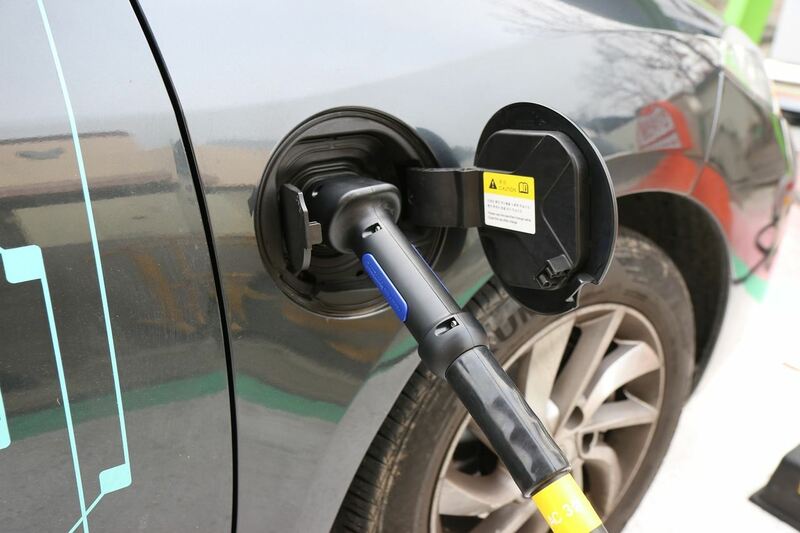 These factors influence how the electricity that runs the vehicle is produced, which can really make or break an electric vehicle as far as environmental friendliness goes. If the electricity comes exclusively from coal, the impact would be about the same as a traditional vehicle. With natural gas, the car would perform about as well as an efficient hybrid. However, if the electricity comes from renewable sources like hydro or solar, electric vehicles are much better for the environment. Here are some examples of how electric vehicles perform in different countries over their entire lifetime based on how those countries on average produce their electricity. In the U.S., an electric car performs just slightly worse than the average hybrid vehicle. In India, which uses coal heavily to produce electricity, the impact of an electric and gasoline vehicle are the same. In Brazil, however, electric vehicles perform better than any other type of vehicle. Much of the talk about vehicles’ environmental impact centers on the period when they’re in use. As mentioned earlier, the manufacturing process also creates significant emissions. Another little-mentioned factor is what happens when the car has reached the end of its useful life. How can it be disposed of; is it reused or recycled? Electric vehicles are so new that this period has not really been explored yet. Few companies now have the technology to recycle the lithium-ion batteries used in electric cars, especially not in an economical way. That will likely change, however, as electric cars gain in popularity and the demand for these recycling services increases. So, how green are electric vehicles really? Well, it depends. How the electricity that runs the car is produced plays a big role. Currently, the manufacturing process is not especially environmentally friendly, and the recycling process still needs to be explored. However, electric cars at their worst have the same environmental impact as a gas-powered vehicle. Usually, though, they are better for the environment. In fact, the Union of Concerned Scientists found that on average an electric vehicle creates half the emissions of a regular car over its lifetime, even when including the manufacturing process. This is a significant improvement when comparing more modern vehicles to those of the 1960s and '70s, or even those of the early 2000s. Plus, as the technology improves, electric cars will likely become even greener. Electric cars aren’t perfect. They still produce some pollution, and exactly how green they are varies by location. However, they’re usually still greener than a conventional vehicle and remain a promising new technology.